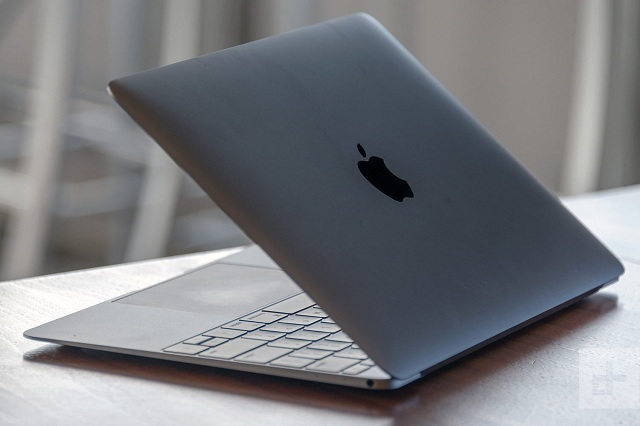 When it comes to laptops, there is nothing to beat the Apple MacBook range. However, if you do not like the macOS, then there are various other best MacBook alternatives you can choose from. Why is the MacBook popular with the masses? The Apple MacBook range consists of powerful laptops combined with beautiful design and macOS, making it popular among the masses. The Apple MacBook range comes with brushed aluminum, powerful components and software that make them the most sought after laptops. However, there are many users who don’t like the macOS and instead prefer the Windows OS. Though the macOS has its own advantages, the Windows OS is a stable platform which has made regular improvements over the years. There are some best MacBook alternatives with comparable specs and are much cheaper than their Apple equivalents. This laptop from Dell is slim and is considered better than the MacBook Pro. This laptop is one of the best MacBook alternatives as it offers a higher resolution (4K) display along with a longer battery life and touchscreen controls. This laptop weighs a mere 2.65 pounds. It costs $1,000 and up. The new Razer Blade laptop is just 0.66 inches thin. Though all the Razer laptops are targeted for the gaming fans, the new Razer Blade Laptop can be used for everyday purposes. The mightiest Mac notebook is nothing in comparison to the Razer Blade laptop. The laptop comes with a 15.6 inch display and 4K resolution. The RGB-backlit keyboard,a six-core Intel processor and NVIDIA GeForce GTX 10 graphics make it one of the best MacBook alternatives. The Razer Blade laptop also has USB-A ports, Thunderbolt 3 and RAM that you can upgrade. The laptop costs $1,899 and up. As an alternative to the slimmer Macs, you can go in for the Microsoft Surface Laptop. They come with the latest chips, a 13 inch display, a nice design and a wonderful keyboard. It is a premium notebook and as one of the best MacBook alternatives it is selling at $799 and upwards. This laptop comes with a six-core Xeon powered workstation. This laptop can be upgraded with powerful processors, with dozens of cores, latest graphics and up to 384 GB of RAM. For additional storage it offers an external caddy. This laptop is one of the best MacBook alternatives and there is a three year repair agreement for the Dell’s pro machines. You can purchase the Dell Precision 7820 for $1,659 and upwards. This laptop is a great notebook and also affordable. This laptop is the best MacBook Air alternative with a great keyboard and display. It is packed with the latest 8 generation Intel i5 processor and has 11 hours battery life. The Asus Zenbook UX330UA is thinner than the MacBook. For $750, you get a powerful and long lasting laptop. If you are looking for a laptop that is small and yet powerful, then go in for the Lenovo Yoga S730. It is 11.9 mm thick and weighs just 2.6 pounds. It comes with an 8th Generation Intel i7 processor and 10 ½ hours of battery life. This laptop is one of the best MacBook alternatives and retailing at $750 is much cheaper than the current Mac. If you mainly use the internet for your work and a few other applications, then the best 12 inch MacBook alternative is the Google Pixelbook. It runs on Chrome OS and you can access everything available in the Google Play Store app. The Google Pixelbook comes with powerful hardware, a beautiful screen and a long battery life that lasts through the day. The Google Pixelbook is selling at $883 on Amazon. In case you are looking for a bigger screen, then the HP Spectre x360 15 would be the best MacBook alternative. The laptop comes with an Intel i7 processor, NVIDIA GeForce MX 150 graphics and 12 ½ hours of battery life. The screen could be folded backwards enabling you to use the Spectre x360 as a big tablet. It is selling at $1,400. 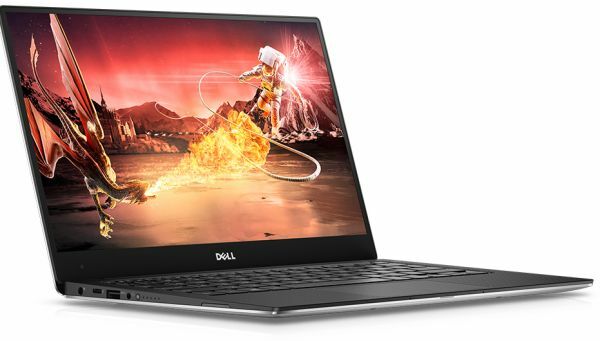 The best MacBook Pro 15 alternative is the Dell XPS 15. It has an ‘Infinity edge’ display and more powerful hardware. The $1,200 model comes with an i5 quad-core processor, 8 GB memory, a 1080p display. The Dell XPS 15 also offers a hybrid hard drive with 1TB of storage and GTX 960M graphics. Though there is not much to look at in terms of design, the Lenovo ThinkPad X1 makes up for with its features. This laptop has a carbon fiber chassis and a 14 inch QHD display with support for Dolby Vision. The other features include an 8thgeneration Intel Core i5 and i7 processor with 16 GB of RAM and up to 2TB of PCLe SSD storage. It comes with Thunderbolt 2 and 15 hours of battery life. It is selling from $1,709. The second generation laptop by Microsoft, builds on the first version. It is a perfect laptop which is a best MacBook Pro alternative. It has a nice design and is available in lots of colors. The greatest advantage is that it is much cheaper than the MacBook Pro. It is suitable for students with a selling price of $999. It comes with 8th gen Intel Core processor, up to 16 GB of RAM and up to 1TB of SSD storage. The 13.5 inch display supports touch and Surface Pen. The Surface Laptop 2 by Microsoft has a 14 ½ hours battery life. These laptops are some of the best MacBook alternatives. If you are looking for cheaper laptops and even better features than what is being offered by Apple, then you can choose the best laptop that will suit your budget.